excellent job lark as always. Im not sure why people seem to think his size is a disadvantage, I think it will help him make consistent contact and be able to draw walks easier. Juan Durans main struggle is that he is so big its hard or him to control his huge strike zone, sappelt has the opposite effect. His hand eye coordination and quick bat along with his small strike zone allow him to make consistent contact even with his swing mechanics altering. It also why he hits line drives at such a high rate. I agree, bigger players are at a disadvantage in hitting for average. They have a much bigger strike zone and longer levers to their swings. So, contact is more of an issue with the taller guys. On the flip side, shorter players should somewhat benefit in that area. It'll be interesting to see how Sappelt handles MLB pitching. I'm not wild about his swing, but he makes it work. Still, I'm concerned about the soft stuff away. 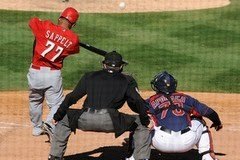 Great American Ballpark is a huge boost for righthanded hitters, so Sappelt's power should be adequate. Still, he's going to be an early count, batting average driven hitter. I'm not sure I see 20 homers in his future, but I certainly hope so. I agree that his baserunning/basestealing needs work. He lacks polish to his game, which hopefully he can develop. July of last year you hated Sappelt and called him an "empty hitter" who does not have enough on base skills, speed, or power to supplement his batting average. In a round about way, you basically said he does not hold any value or have any future with the Reds. Now Sappelt is in your top 10 prospect list because he SUPPOSEDLY changed his swing approach during the offseason or final two months of last year, with basically the same results as he had previously been putting up before this supposed swing change. I must say, though. Its good to see you coming aboard the Sappelt ship before it completely sailed on you. Nice to know that I managed to entertain you. First, I don't hate anybody, much less Sappelt, but interesting for you to read that into my message board post, which was actually pretty innocuous. Second, I called him a hitter with an empty batting average, because he wasn't providing plus power, speed, or on-base skill. Was I wrong? Maybe, maybe not. His power production has certainly improved, but his on-base skill and base stealing/running are still underwhelming. Has he done enough to land a starting gig at the MLB level? Time will tell. 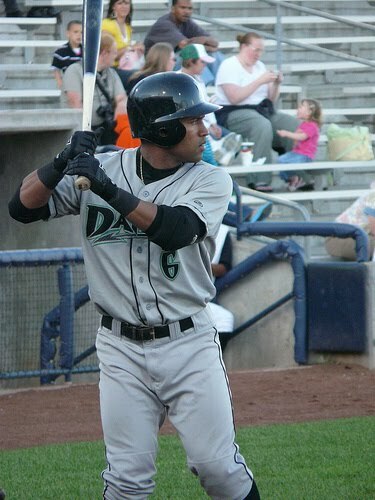 At the very least, he has emerged as a solid 4th/5th outfielder candidate. 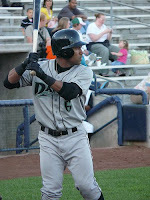 He wasn't a top notch prospect when he arrived in the professional ranks, but has made himself into a decent prospect. Kudos to him. I'm a little late to the party here guys but great job again Lark. Your thoughts have mirrored my own on Sappelt, except you do it so much more clear and elequently. Anyhow prior to this season I was of the opinion that Sappelt was a guy who although had some talent was so raw in the skill department. Very undisciplined approach in every aspect of the game and historically speaking that never changes a whole lot in players. I like to use the analogy of playing a baseball video game, ya know as a student of the game that it pays to remain patient and get a good pitch you can drive, but ya just can't stop yourself from tapping that X button/swinging at almost everything anyway. Lots of players are that way and rarely change it a whole lot and it's a hinderance at the major league level because believe it or not some pitches just weren't meant to be driven and if your not driving the pitch the odds the defense gobbles it up again and again are really, really good. Think Willy Taveras or Corey Patterson, 2 guys who don't do an awful job of making contact but usually it's weak contact which keeps their BA low. And they don't supplement their BA/OBP% with a goodly amount of walks either because they are swinging at everything. Sappelt IMO was headed down that road until he decided to make some changes as you have outlined here Lark. He studied alot of film (I believe some of it was Barry Bonds later years, but don't hold me to it). Now he has a nice swing, he is a bit more patient (not yet where he needs to be but he is adequate) and due to his improved swing mechanics he is getting about as much pop as he can out of his frame. His HR pop will go up getting out of Louisville's full park green monster OF fence. He's turned himself into a legit solid leadoff option and a starting major league player IMO and he seems willing and able to do what it takes to keep improving. Let's just hope he doesn't try to do to much when he has struggles. Oh and one other thing. The one thing I am not yet convinced of is his arm but in LF it shouldn't be too big a hinderance. Thanks for the comment! Always good to hear from ya. I LOVE the video game analogy! I'm the same way. I know the value of patience and discipline, but in the video game realm the lure of the X button is a strong one! And, I think it's just that way for some hitters in professional baseball. As for Sappelt, he's definitely put in the work and is seeing it pay off. It'll be interesting to see if he can emerge as something more than a 4th outfielder. He has the blend of tools to do so, but whether he can handle the tougher competition remains to be seen. If he reaches his max projection, then he'd be a nice tablesetter and leftfielder, which are both areas of weakness for the Reds. Anyway, thanks for the comment! !